Routine health screenings are one way to learn about risk factors, prevent disease, detect potential problems early and stay healthy. "TMC really took care of my baby ... and me!" 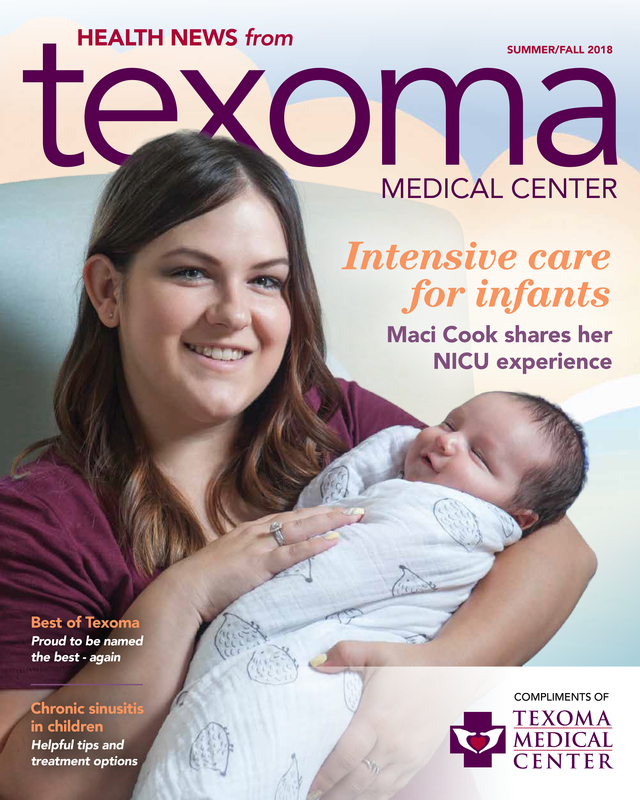 When Maci Cook’s son stopped breathing, TMC’s NICU team sprang into action. This routine screening could save your life and it only takes 15-20 minutes on average. Could your child have chronic sinusitis? TexomaCare Ear, Nose, Throat Specialist and Plastic Surgeon Terry Yeung, DO, shares information, helpful tips and treatment options.